A decorated French naval officer sails the world and describes it in his romantic novels. Loti's house is now a fascinating museum in Rochefort. Louis Marie-Julien Viaud (1850-1923), better known by his pen name Pierre Loti, was a decorated French naval officer, but more famous as a novelist. 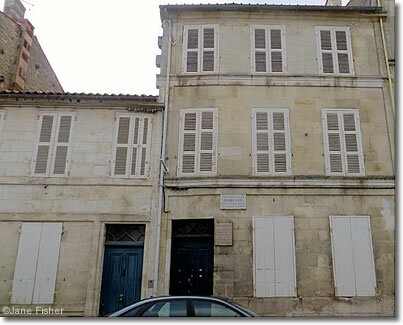 His Rochefort residence is the Pierre Loti Museum, stuffed with curiosities brought back from his travels, with some rooms fitted out as a pseudo-Ottoman mosque, but in 2012 the museum was closed due to the need for extensive repairs. When it may re-open is unclear. 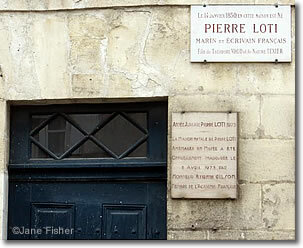 Pierre Loti House: closed in 2012, re-opening in...?? In the meantime, audio-visual displays of the house and items from its collections are on display at the Musée Hèbre de Saint Clément, 65 avenue du Général de Gaulle (tel +44 (0) 5 46 82 91 60). Loti's tomb is in the Maison des Aïeules, his summer home in the town of Saint-Pierre-d'Oléron on the Île d'Oléron.